My friends know that I am always on the lookout for healthier food options and of course, healthier restaurant places to go to. By healthier, I mean plant-based food options on the menu and restaurants that offer those kinds of dishes. Discovering these places in my area is always exciting for me. I have discovered another one in Green Wok Vegetarian Bistro. An instagram pic I posted showing the delicious dishes you can enjoy at Green Wok. I had visited this bistro a year ago and had been back recently to enjoy their updated menu. Their dishes are still delicious; the portions are satisfying and their prices are still wallet-friendly. Green Wok Vegetarian Bistro offers an al fresca dining experience and a homey feel with the staff's friendly interaction with customers. Since they are situated on the 2nd floor of a building, it may be hot during lunch time but a cooling breeze then and now and the industrial fans help to make eating a comfortable experience. If it rains, the eating area is covered to you don't need to find shade. They received the PETA Golden Bun awardee as one of the best veggie burgers in the Philippines. We haven't ordered their burger yet and I'm not sure if it is still on their new menu but I will ask next time we visit. In the meantime, here's what we've enjoyed from their current menu. There were 3 of us but we ordered additional side dishes. Codfillet with Sauteed Veggies from their Rice Bowls menu. From their Rice Bowls menu, I ordered their Codfillet (Php105). All their Rice Bowls items come with sauteed veggies. I always welcome an extra serving of veggies in my meals. This one really tasted and had the texture of fish! 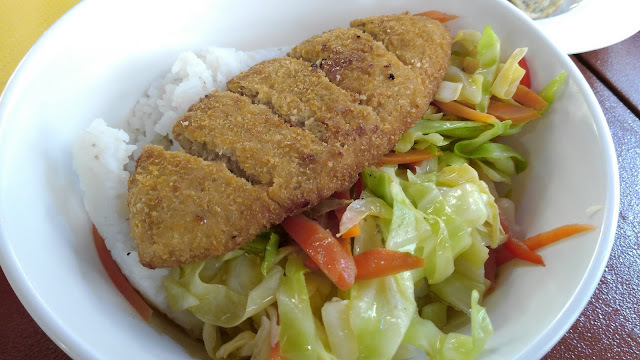 Similar to your regular fish fillet, it had a soft but firm center and crispy, crumbly skin. It tastes delicious on its own but out of habit, I've always eaten fish with soy sauce before so I did so with this one even if this was not fish. I was still very satisfied with it. 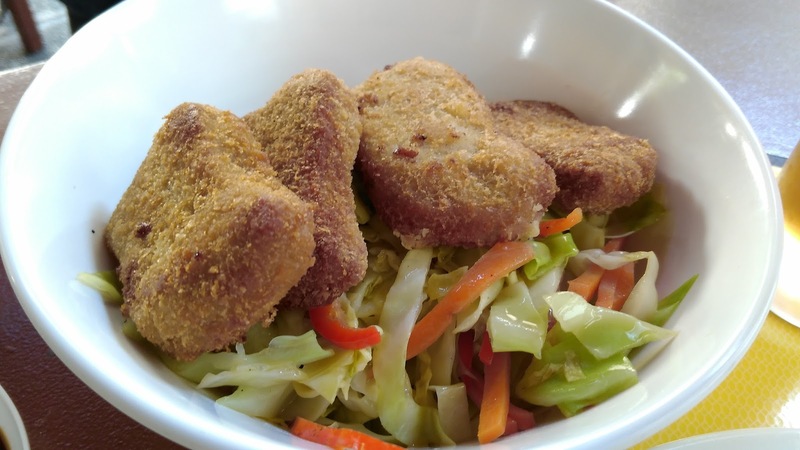 Nuggets with Sauteed Veggies from their Rice Bowls menu. If you crave the taste of chicken nuggets, then their Nuggets (Php105) will definitely satisfy you. This one also had the texture and taste of chicken nuggets that could rival that of McDonald's. Although there are just 4 pieces, they are quite filling and we didn't even put any sauce on this one. 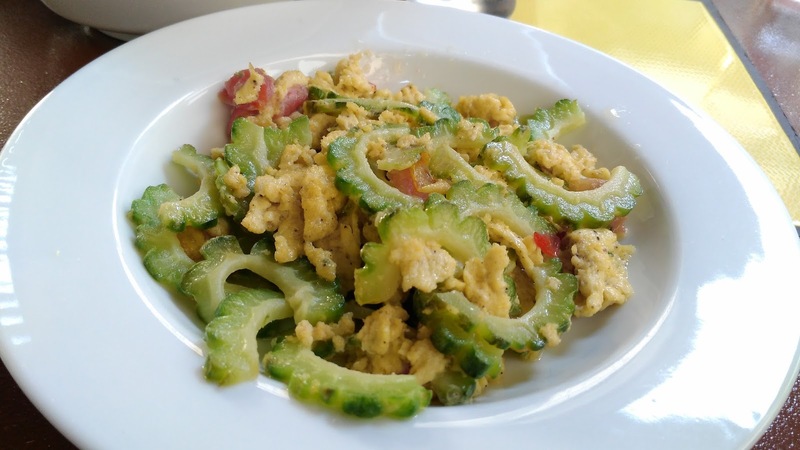 For our side dish, we ordered Ampalaya't Itlog (Php69). This tasted like your regular fare but their version had bits of tomato which actually enhanced the flavor and added to our vegetable intake quota. 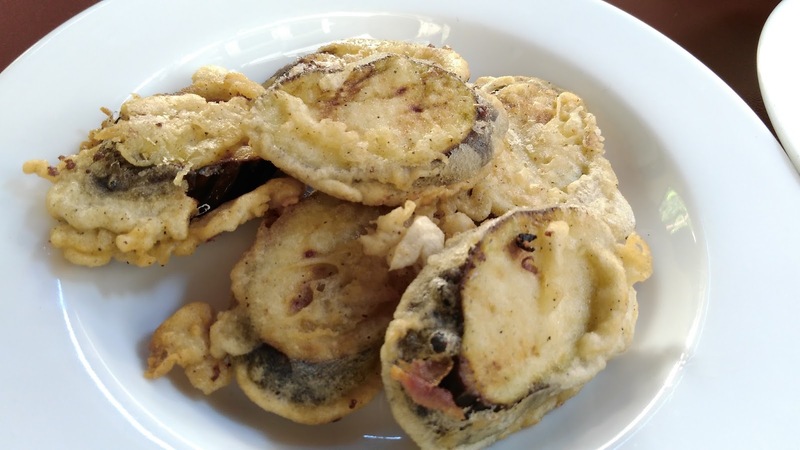 Another side dish we enjoyed was the Fried Talong (Php30). This one was battered and fried which made for a soft, chewy center and a crispy outside. This was quite delicious with the soy sauce and calamansi sauce. You could also pair this with soy sauce and sili as one of my companions did. We must have been starving because we ordered an additional side dish after taking a look at all our previous orders. This time we ordered Fried Kangkong (Php30). It came as a hefty serving good for 2-3 persons and with some nori strips for some extra nutrition. 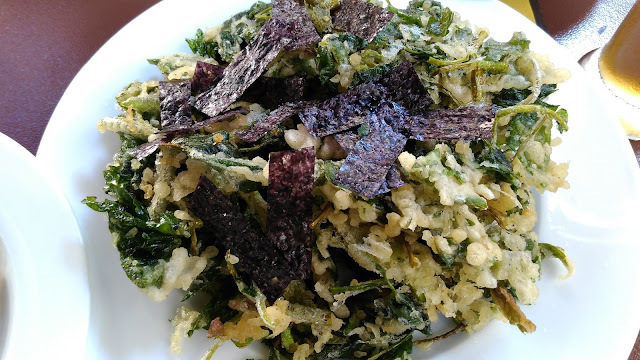 Although this was a side dish, we treated this like dessert as we enjoyed the crunch and crispiness at the end of our meal. They have other menu items which are almost always unavailable whenever we visit because they are customer favorites. 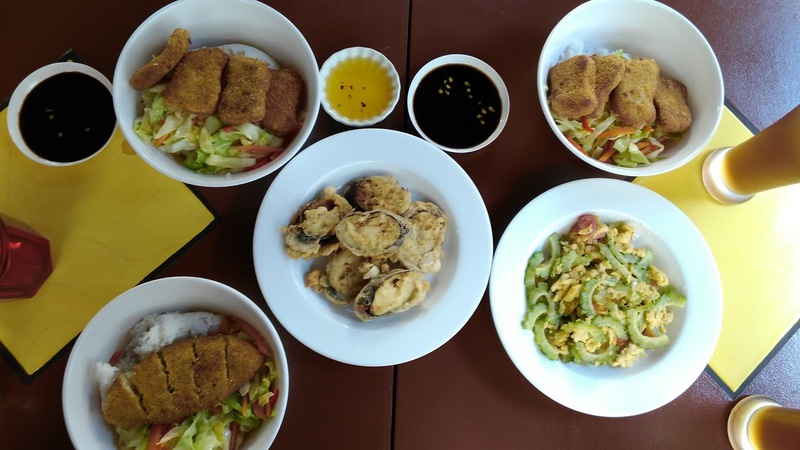 These include their Betchon, Tapa't Camatis, Lumpia with Vinegar Sauce and Lechon Kawali which we hope to taste again soon. They also have Special Crispy Kangkong which is also a favorite of ours but we decided to try another version. They also offer fresh fruit shakes as well as home made Lemongrass and Calamansi Juice. You can also order regular iced tea or just enjoy the pitcher of cold water served with all your orders. I'm glad water does not cost extra on their menu. 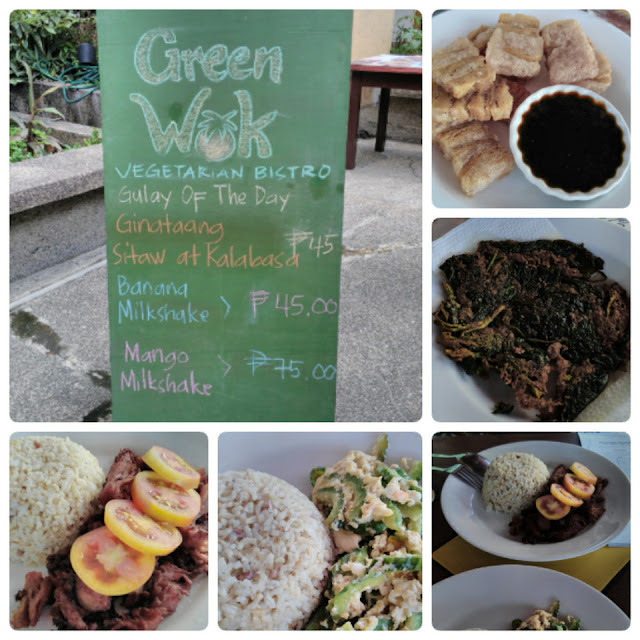 If you're in Quezon City and want to taste delicious and affordable vegetarian dishes, definitely visit Green Wok Bistro.